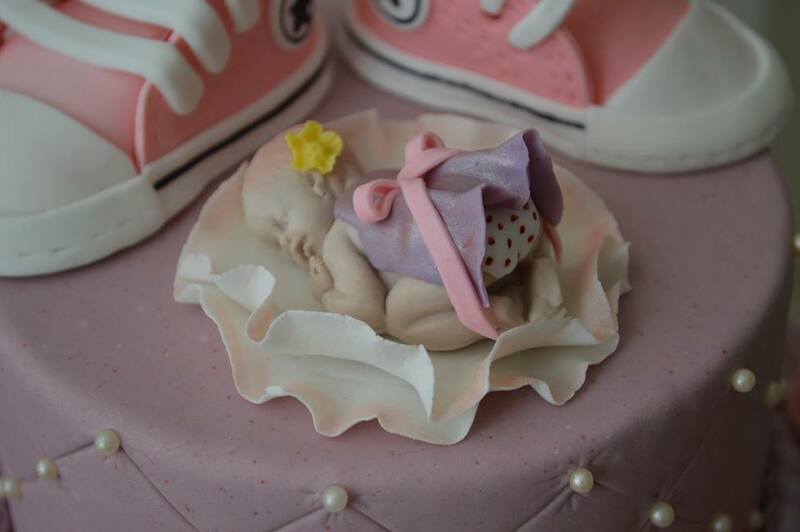 This adorable cake, decorated with Converse Shoes and a cute baby on top, was designed by Yvonne's Custom Cakes, a very talented cake decorator, for a baby shower. 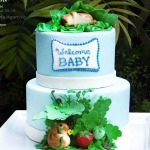 This idea can be used for any kind of baby shower theme especially a sport theme. Yvonne placed converse shoes and baby on top of the cake which make it a unique cake since most of these kind of cakes has one topper. I made this cake for a friend of mine. 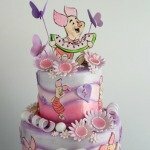 She just asked for a baby shower cake for her baby girl and I got a free-hand designing whatever I want. 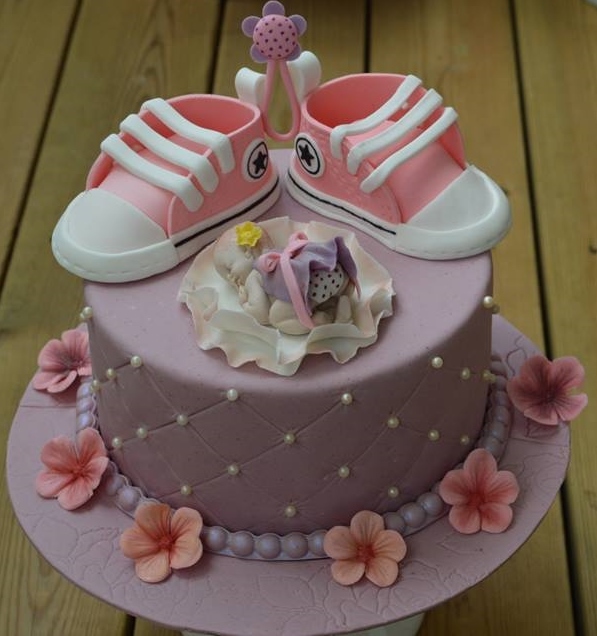 I got the idea of combining baby converse shoes and the gum paste baby from baby shower cakes I saw on the internet, though those had either the baby or the shoes as cake toppers not both them. I chose two of my favorite colors, pink and purple. The shoes are made out of gumpaste with a stencil which I printed out from a website. The baby is gum paste as well and I formed it with a mould. 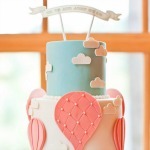 I find this cake as complete baby shower cake, a cake that I would definitely make if I will going to have a baby girl.